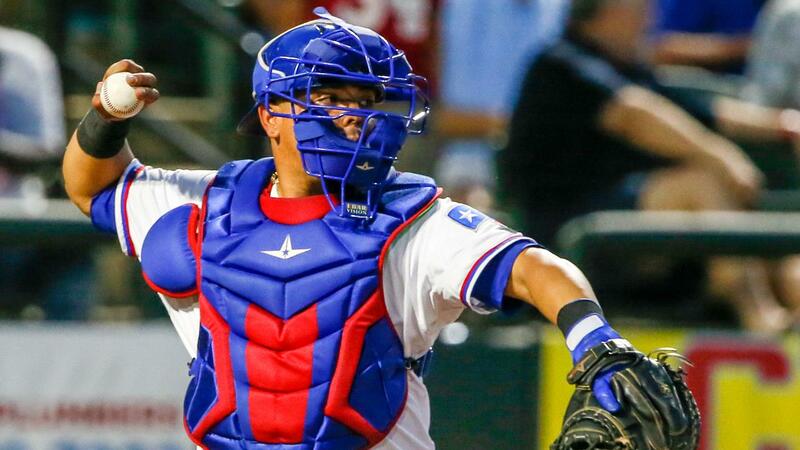 DES MOINES, Iowa - DH Juan Centeno lifted the Round Rock Express (64-73) to a 6-5 win over the Iowa Cubs (50-87) with an RBI single in the first frame of extra innings in Friday night's series opener at Principal Park in Des Moines. The Express entered the bottom of the ninth in control of the lead at 5-4. With RHP R.J. Alvarez (4-4, 3.68) shooting for a PCL-leading 25th save, DH Chris Coghlan smashed a game-tying solo homer over the wall in right field to reset the score at 5-5 and send the game to extras. Round Rock began the 10th a runner on second, 1B Tommy Joseph , per MiLB's newly-instated extra innings rules. Following a sacrifice bunt from 3B Andy Ibanez that moved Joseph over the third, Centeno came through with the run-scoring base hit to right field off Iowa reliever RHP Craig Brooks (1-3, 4.03) that gifted the Express their third and final lead of the night at 6-5. In the bottom half of the 10th, E-Train LHP Brady Feigl retired the side in order on a lineout, strikeout and groundout to secure his second save of the year. With the win, Round Rock has now claimed victory in five of their last six contests. Along with scoring the winning run in extras, Joseph had himself a day at the plate as he drove in three runs on a single in the seventh and a two-run homer to center in the fourth. The first baseman's 20th longball of the season was the opening dinger of back-to-back round-trippers with Ibanez, who smashed a solo shot to left in the following at-bat for his 12th home run of 2018. Although he finished with a no decision, Round Rock starter RHP Chris Rowley was rock-solid over 6.0 innings of work, allowing four earned runs on eight hits while punching out five and walking two. The series moves forward with game two on Saturday night at Principal Park in Des Moines. Round Rock RHP Adrian Sampson (7-4, 3.73) is penciled in to face rehabbing Chicago Cubs RHP Tyler Chatwood (0-0, 4.15). First pitch is scheduled for 7:08 p.m. CDT.